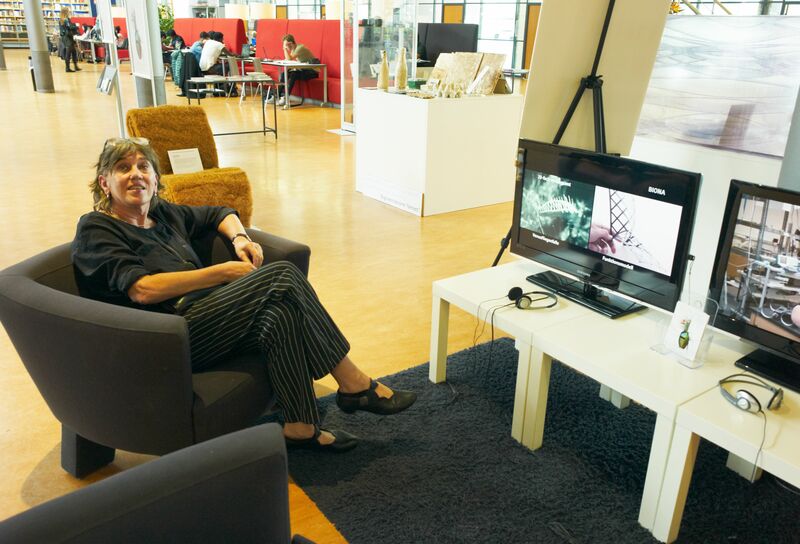 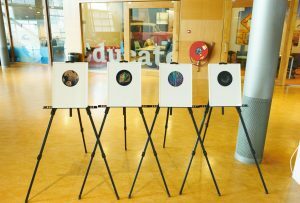 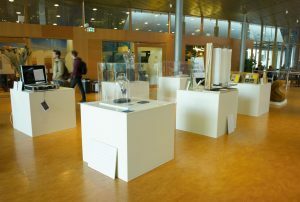 Recently we have been involved with showing some of our things at the Bioinspired exhibition, which is showing at the TU Delft Library. 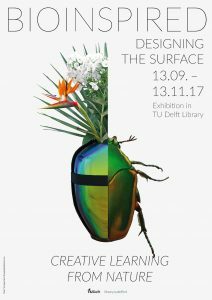 The exhibition will continue at the library until January 2018 and will then move to a permanent location at the TU Delft Botanical gardens. 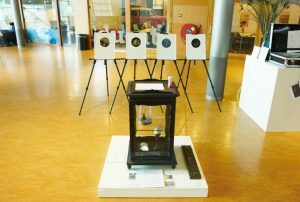 Apart from the “Japanese bowl” by Stephen Picken and the earrings made by Yuemei Lin there are other things worth seeing if you find yourself visiting TU Delft. 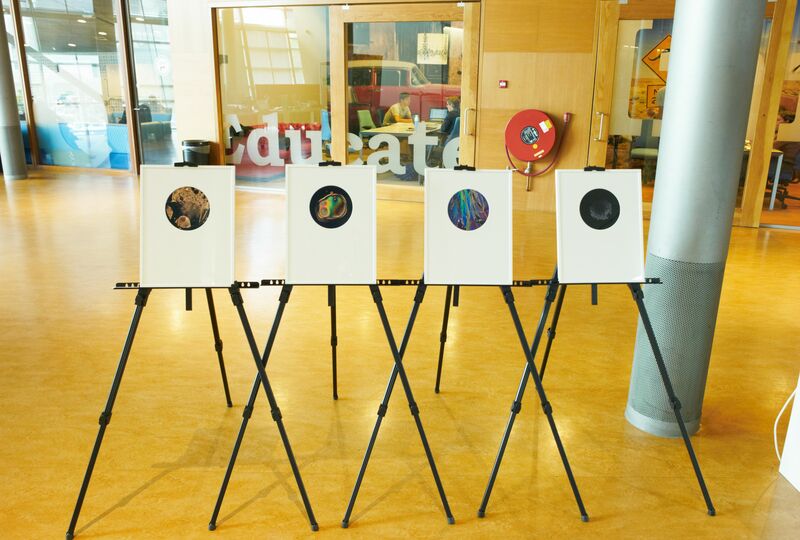 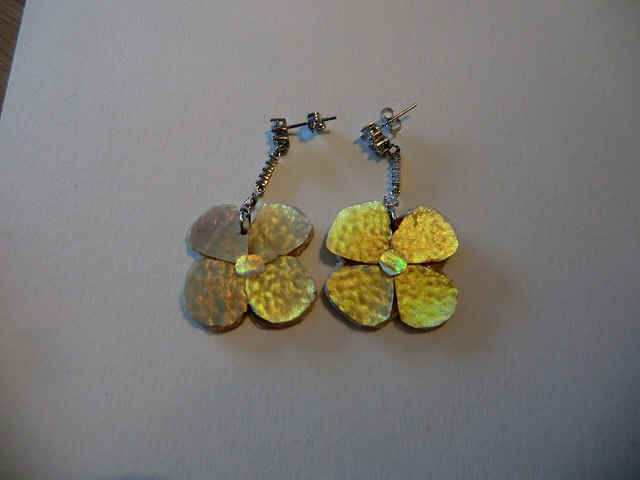 Click on the image to go to the Bioinspired exhibition website or check it out here. A few pictures of the exhibition are shown below, including the curator Marion Vredeling. 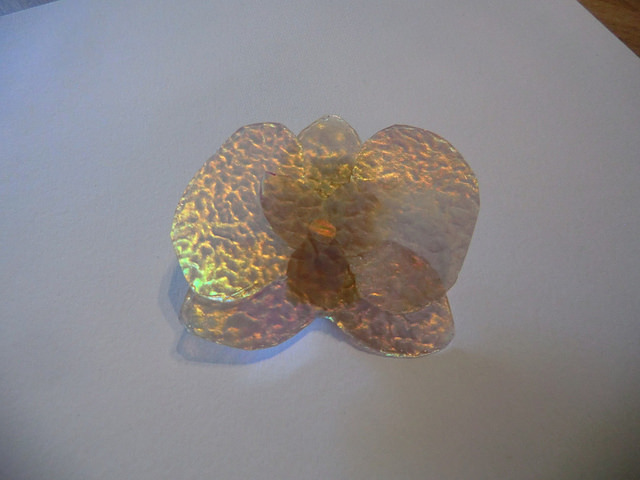 Meanwhile Yuemei Lin has not been idle and has made some new great items, note that this is entirely made from materials that we obtain from waste-water treatment processes.